The Connors Genealogy website has been online since 2001 and contains a large number of transcribed records from New York State and Ireland. 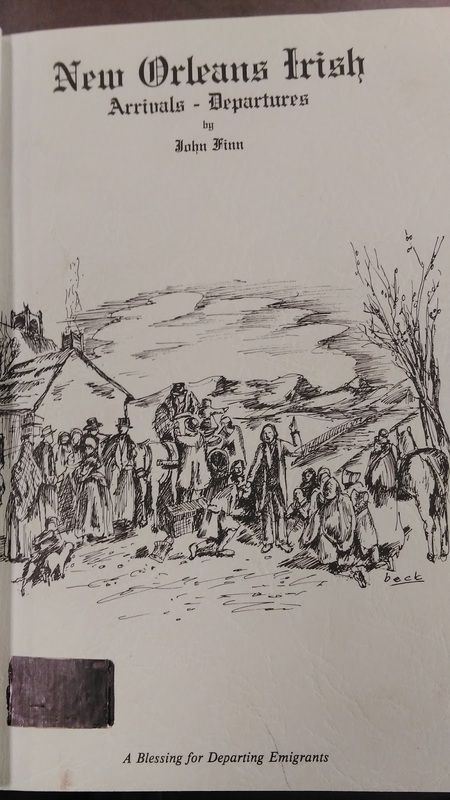 Run by Pat Connors, it was one of the early websites to show the potential of volunteer transcription efforts when it came to records concerning Irish immigrants in the United States and record sets from Ireland. One section of the site that is truly excellent is the list of transcribed Albany County, New York naturalization records from 1836 to 1864. For those that had an Irish county of birth recorded on their petition for naturalization, Connors provides this information, along with their name, age, residence (usually the city of Albany) and date of petition. There are hundreds of such examples. John Hartigan, age 66, petitioned to become a citizen of the United States on 3 November 1846. He was born in County Limerick, resided in Albany, and had left Ireland from Limerick. James Lally was a resident of Watervliet, Albany County when he filed his petition, coincidentally also on 3 November, in 1838. He was born in County Offaly and had emigrated from Dublin. Helpfully, the Family History Library (FHL) film numbers are provided for each year. John Lally's petition is on film number 1301571. A quick search of the FHL Catalog directed me to the relevant film. You can access the Albany County naturalizations here and the Connors Genealogy landing page here. (http://www.connorsgenealogy.com/Albany/AlbanyIrishBorn1846.htm), accessed 20 November 2016. (http://www.connorsgenealogy.com/Albany/AlbanyIrishBorn1838.htm), accessed 20 November 2016. During the summer, I gave a talk at the National Library of Ireland about free websites to use for genealogy research in the U.S. The organizers were kind enough to record it and it's now available via podcast on the Irish Family History Centre website. New Orleans Irish, Arrivals – Departures was written by John Finn and published in 1983. Finn was a Roman Catholic priest from County Sligo who was appointed to a parish in New Orleans, Louisiana. He quickly became intrigued by St. Patrick’s Cemeteries in the city and the history of the Irish who immigrated to New Orleans over the previous 180 years. His publication primarily consists of a few thousand entries that Finn gleaned from headstones in the three St. Patrick’s Cemeteries. Finn recorded all information from the headstone, including Irish places of origin and birth, where found. Many of the burials occurred in the 19th century. For example, Ellen Donnelly, died on 4 September 1865, age 24 and was buried in St. Patrick Cemetery number two. She was from Killoran, County Galway. Useful cemetery maps and pictures of some of the headstones are also included. Finn also transcribed Irish immigrants from passenger lists of ships that arrived in New Orleans. The listing is not comprehensive but entries are taken from the years 1815 to 1847. 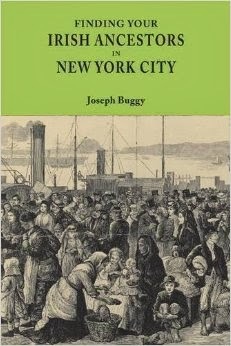 New Orleans does not initially come to mind when Irish immigration to the United States is considered. However, as pointed out in David T. Gleeson’s The Irish in the South, 1815-1877, the Irish population of the city in 1850 and 1860 averaged just over 15%. By 1860, this considerable percentage consisted of 24,398 immigrants from Ireland. Finn, John. New Orleans Irish, Arrivals – Departures. Privately Published: Jefferson, Louisiana, 1983. p. 164. Gleeson, David T., The Irish in the South, 1815-1877, The University of North Carolina Press, Chapel Hill, North Carolina, 2001. p. 35. Gleeson, David T., The Irish in the South, 1815-1877, p.34. Bald Eagle in Clinton County, Pennsylvania is a very small town broadly halfway between Pittsburgh and Harrisburg, the state capital. In the 1860s, the Bald Eagle Valley Railroad was completed as part of the Pennsylvania Railroad. Some of the men from Ireland who worked on the railroad had their county of birth recorded in the 1870 U.S. Federal Census. They are found among farmers and laborers who also had their Irish counties of birth recorded. The same information was also recorded for some female immigrants from Ireland. It is interesting to note that all those that had their Irish counties of birth recorded were from Munster. However, the enumerator, assistant marshal J.P. Heard, only recorded this information in the first five pages in his enumeration of Bald Eagle. All other immigrants from Ireland just had their country of birth recorded. One wonders if all the other Irish immigrants were also from Munster counties and their presence in Bald Eagle was due to chain migration from the south and south west of Ireland. Of those with counties of birth recorded, Cork and Clare have the largest concentrations. Browse the enumeration for Bald Eagle by clicking here.